A powerful three-week, self-guided, interactive course designed to help you reframe your anxiety. Suitable for anyone experiencing any level of anxiety. After months of kid’s naptimes, weekends and evenings spent hunched over a laptop pouring out everything I know about a topic that sets my heart on fire. Writing down all I’ve learnt from years in lecture theatres and hundreds of hours sat with people as they tell their stories. Metaphors dreamed up in my head, spilled out with fast fingers on clicking keys…Yes, after months, the Reframing Anxiety Course is ready for launch. Anxiety has woven through my years like a hissing snake. Sometimes a buzzing undercurrent, yet sometimes it overcame like a roaring wave, sucking air from my lungs and drowning all rational words. Not anymore. It stole enough. I reframed it and reclaimed so much in the process. The course, the words and journalling questions…they’re a map.A signpost that there is so much more for you than this. Whether your anxiety is a distant buzz, or a deafening shout, a compulsion, an intrusive thought, or an elephant on your chest. I’ve written this for you. 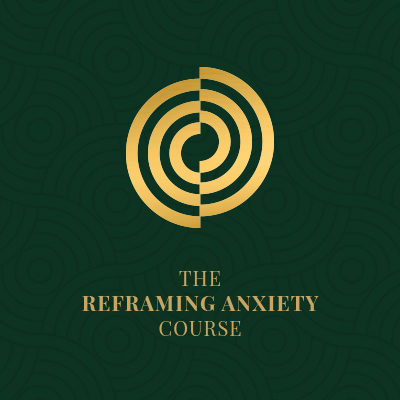 So…The Reframing Anxiety Course has launched! A 3-week, self-guided, psychologically-grounded course for those experiencing any level or type of anxiety. THANK YOU to my husband, my ultimate cheerleader. He has relentlessly facilitated giving me time to write. And stood beside me as I fumbled through the years (and recent days too) practicing all of these things for myself. This wouldn’t exist if it weren’t for you. THANK YOU to web/graphics extraordinaire Amber of Ooohlala Your vision, creativity and skill are amazing. THANK YOU to buddy Coley who has lovingly edited my words. And to my Mum (a counsellor herself) and Psych friend Amy, who kindly cast professional eyes over it. And thank you, you guys, for your encouragement, content requests and supports. The purchase price will entitle you to a single download of the course PDF. For those experiencing financial difficulty, please click on the ‘Additional Information tab’ to read about the discount code. 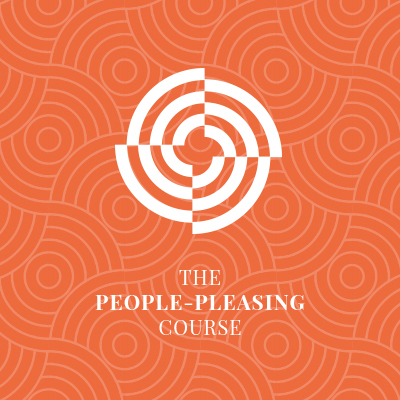 This three-week, self-guided course isn’t an academic course full of references. It’s an amalgamation of my years of Psychotherapy training, personal experience with anxiety, and my client work. Within the course, you’ll discover the advice I give to my clients, alongside my own personal anecdotes. You’ll be encouraged to think, reflect and engage in a way that should start to shift your anxiety and introduce hope. Each day alternates between a text to read, and some journal points to explore. The text explores a different element of anxiety (such as Intrusive thoughts, knowing your triggers, top tips), and I encourage you to scribble some notes if you wish. The journal points aren’t extensive and don’t require deep thought or essay writing. I’ve designed them to help bring the text to life for you, making it relevant and encouraging you to apply it to your particular circumstances. The course length is for you to follow or play around with as you wish. You could take longer over the text, add extra days in between for journaling, or take breaks. There is no right or wrong way, just your way. The three weeks is just a guide, and will offer quite an intensive insight. If you need to take your time, please do so. These concepts, tools, and insights have undoubtedly changed my life and the way that I feel on a daily basis. It’s not a quick fix. A lot of what we speak about will require on-going effort, but bit-by-bit, they will chip away at the power that anxiety has over you. I am excited for you to read the words on these pages, and for the light bulb moments you’ll experience.